Uganda’s ruling-party MPs back country’s aging leader for another term – Royal Times of Nigeria. Members of parliament from Uganda’s ruling party are backing President Yoweri Museveni’s attempt to win another term, according to a resolution adopted at their meeting late Sunday. A victory at the next election, in 2021, could extend the 74-year-old Museveni’s rule to 40 years, one of the longest reigns in Africa. A key committee of the ruling National Resistance Movement (NRM) also resolved last month to back Museveni for another term. The party’s delegates will make their final decision at a conference due at the end of this year. By securing the support of members of parliament, an important segment of his party’s delegates, Museveni came closer to securing the party’s nomination. 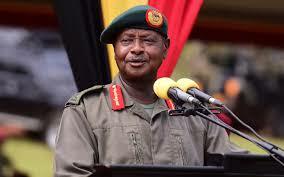 Museveni’s government has changed Uganda’s constitution twice to allow him to extend his rule. In 2005, it removed a two-term limit on the presidency. Twelve years later, it voted to scrap an age limit of 75. 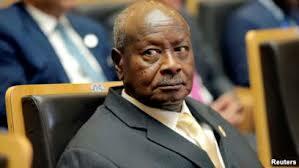 Museveni has himself not said whether he intends to stand, although he is widely expected to.